Would you like a craft beer with your jambalaya? Cajun Country is not traditionally known for its craft beer, but locals clearly appreciate a fine brew. Karlos Knott, owner of the Bayou Teche Brewery, hails from a long line of Cajuns and grew up on a crawfish farm. He has childhood memories of older men sipping Dixie and Jack’s (the only regional beers available at the time), which they affectionately called bière. “They were never in a bad mood when they drank it,” Karlos noted during our visit to his brewery and tasting room in Arnaudville, Lousiana last fall. 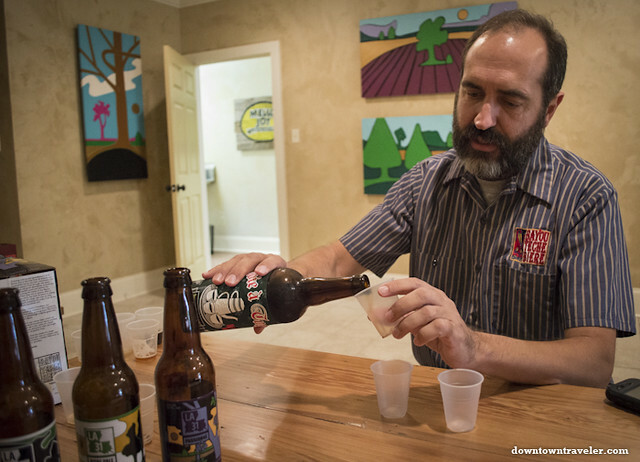 While pouring samples in the Bayou Teche Brewery tasting room (which boasts a jukebox and original paintings by his son), Karlos revealed which beers pair well with classic Cajun dishes like cracklins, gumbo and jambalaya. Karlos Knott, owner of the Bayou Teche Brewery. 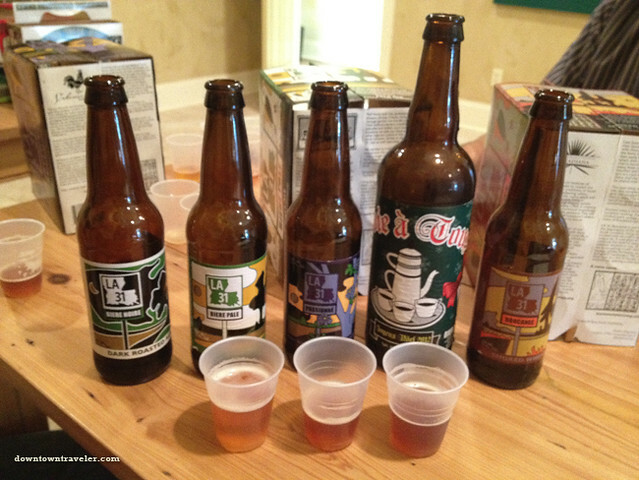 The Bayou Teche Brewery produces a variety of craft beers under the label “LA 31” (named for a highway that follows the Bayou Teche River) and has attracted a strong regional following. We saw LA 31 beers listed on menus from Breaux Ridge to New Orleans, and the company had just signed with a Brooklyn beer distributor at the time of our visit. When he returned to Cajun Country, Karlos promptly started a home brewery in a small shack on his family farm. His very first beer was a success, selling out at the local Mardis Gras, and he enlisted his family members to help build a bigger facility. 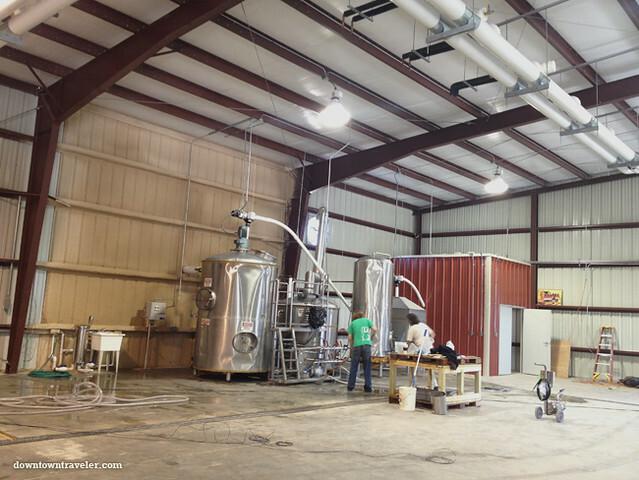 The upgraded facility at Bayou Teche Brewery in Cajun Country. LA 31 beers are inspired by local tastes and are meant to enhance the flavor of traditional Cajun and Creole foods. The following pairings are suggested by brewmaster Karlos Knott; I have tasted all of these beers, although not with these dishes. Before diving into a rich Cajun meal, make sure to hoist your beer glass for the traditional French toast, “à votre santé” (to your health). This wheat bear was inspired by the passion fruit that grows in abundance on the Arnaudville farm. Karlos recommends pairing this warm-weather treat with lighter fare, like raw oysters or a chicken salad. Passionne beer also makes a great “man-mosa” when paired with orange juice (a twist on the classic champagne mimosa cocktail). Bayou Teche beers are known for their colorful labels. 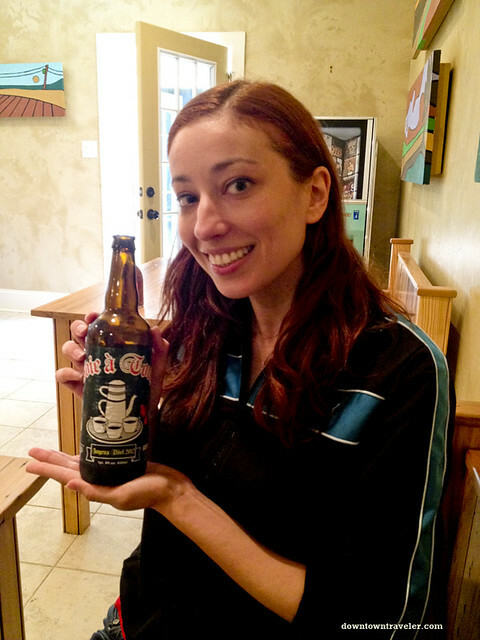 This is the Bayou Teche Brewery’s flagship beer and is, by far, its most popular brew. In fact, Karlos pegged Bière Pale as the best selling craft beer in Louisiana. The caramel taste complements a wide variety of dishes, from roux-based gumbos and estoufees to fried seafood and “Cajun fast food” (cracklins and boudin). This dark, roasted ale has a smooth taste and relatively low alcohol content (“You can cut the grass and still drink this beer,” Karlos noted). It’s ideal for a lazy Sunday spent with family—when the old folks would traditionally drink café noir; in fact, this brew has a subtle, French roasted coffee flavor. Bière Noire pairs well with blackened catfish or steak, as well as chocolate desserts. In the Bayou Teche Brewery tasting room. One of Bayou Teche Brewery’s signature beers, the Boucanee is something of an acquired taste. Made from wheat smoked on cherry wood (traditionally used to make moonshine), this beer has a strong smoky flavor that I initially found overwhelming, although it grew on me with each sip. The Boucanee works well as a marinade and “goes with everything” according to Karlos. He recommends pairing this unusual brew with jambalaya and smoked meats. Since our tasting session occured during Thanksgiving week, we had a chance to sample Bayou Teche Brewery’s seasonal Christmas beer, Joie a Tous. This is the ultimate nod to Karlos’ southern heritage, as it is made with Mello Joy coffee (a local favorite) and is aged in Jack Daniels barrels. It has the aroma of coffee but oak and whiskey flavors. Joie a Tous is best savored in a big goblet or glass (to capture the aroma) in front of the Christmas tree, feet propped up, watching the kids enjoy their new presents. It also makes a great post-dinner treat for those who prefer beer to eggnog. Sampling the Joie a Tous seasonal beer. 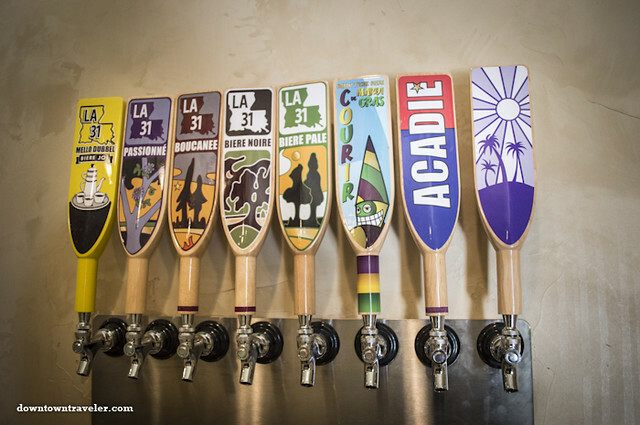 Visit the Bayou Teche Brewery website to schedule a visit to the tasting room, to discover where LA 31 beers are available in your area, or to read the Brewmaster’s Blog (written by owner Karlos Knott). Check out the Facebook page for events, news and photos. Our visit to Bayou Teche Brewery was organized by the St. Martin’s Parish tourist commission. To learn more about Cajun Country attractions, visit Cajuncountry.org and the St. Martin Facebook page. I am not a huge craft beer person, but love the food part of this tasting. I’ve recently been craving New Orleans food after watching a few travel shows from our apartment in Vietnam!